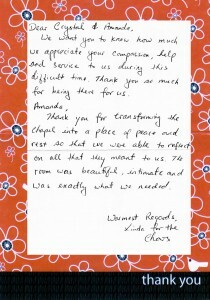 We want you to know how much we appreciate your compassion, help and service to us during this difficult time. Thank you so much for being there for us. 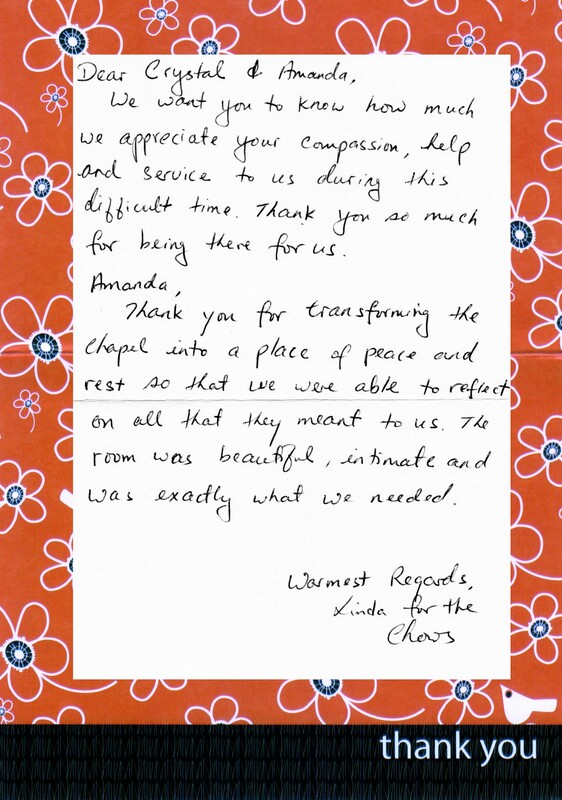 Thank you for transforming the chapel into a place of peace and rest so that we were able to reflect on all that they meant to us. The room was beautiful, intimate and was exactly what we needed.